As soon as your plane lands and is parked you will make a short walk and down the escalators to the customs. If you are Indian, then there is a counter where you can walk straight up and present your passport and walk out. But if you are foreigner i.e. a tourist then be prepared to wait for at least 30 to 60 minutes depending where you’re coming from and the number of passengers on the plane. But this can be at any international airport but in India everything moves in slow motion so expect long delays. In addition, when you make it to the customs counter, don’t expect any greetings such as Hello, Namaste or welcome to India or even a friendly smile. You job is to get your passport stamped and walk away. Now you’re free to collect your bags from the conveyer belt. Take a trolley and wait for it to arrive. You might even be approached by a porter offering their services of pushing your trolley around for you. This might be useful if you have children. Interestingly these porters prefer payment in dollars. Last time I enquired, the porter wanted $50. If it was 50 Rupees yes, but I’m wasn’t paying $50. Further reading: Beware of child abduction in India. Once you have collected your luggage. You must exchange your foreign currency or travellers cheques to Indian Rupees if haven’t already done so. There are 2 main travel exchanges here; State Bank of India and Thomas Cook. Both are fine. Make sure you take a receipt and count your money. Now you can walk out of the airport to your destination. If you have nothing to declare then you can walk though the green channel. You will find armed security personnel. Indian airports are heavily guarded as India is on the list of most hated of nations by Islamic terrorists presumably after United States and Israel. Unless you have someone waiting for you or have arranged transport then you must book a prepaid-taxi here to take you to your destination. This is the most secure transport provided by the Delhi Transport Department and Delhi Police. The idea is simple; you pay at the counter and you give the receipt to the driver when you reach your destination. Do not give the receipt till you reach your destination even if the driver requests it. Also ignore any advice by the diver to take you to a better hotel or demand of further payment. The word for NO in Hindi is “Nahi”. You can learn some more Hindi from me here. Also, as soon as you start leaving the Indira Gandhi International Airport, Delhi Police will record your name, destination and driver number. This is for your protection. There have been some incidences of tourists being mugged so a record of the driver is important. Further reading: Are taxis safe in Delhi? Hot Tip: If the police is on the driver’s side and you hand the receipt to the driver for them to note the number; make sure that you take the receipt back from the driver. If you don’t do this, the driver may not drop you to your exact location or the doorstep of your hotel since he already has the receipt. Just before you leave the terminal and go the meeting area, you can book hotels. Some trains tickets are reserved trains for tourists. If you have not booked your train tickets, then it’s a good idea to do it before you leave. Remember India can seem chaotic hence planning your trip to India is very important. Here’s how to book your train tickets. Further reading: Traffic in India and what to expect. If you have a flight to another city the same day then you can take the coach to the local domestic airport. Both the national and international airports are situated within the compounds of the Indira Gandhi International Airport; hence there is no need to leave the airport. Just before you go out to meeting area, you will see a sign saying transport to domestic airport. There is no need to take a taxi, have a seat and a free coach will pick you up and take you there. Here’s a list of popular domestic airlines in India. Just like any other airport, you will see an ocean of faces looking at you. Don’t be intimated. If you have your taxi booked, you will see a row of black and yellow Delhi cabs and you can walk over there. Some taxi drivers will ask you the plate number of the taxi. Just tell them the number and your taxi will be called and you can go to your chosen destination. Interesting Blog. Liked the straight forward way of writing and honesty of the post. But the tone is a bit scary. International travelers visiting IG Terminal for the 1st time – will be more worried than relaxed – with so many heads up that you have given in the post. Esp the last line- ” Dont let IG shock you”!!! Each Airport has some positives and negatives – just like IG. The idea is not to scare anyone but to be honest and sincere about it. Some one has to. What do you think? When I arrived in Delhi, I took the Delhi Airport Metro Express train from the airport to the New Delhi Metro Station, which is next to the New Delhi Railway Station and just across the tracks from Paharganj (where most of Delhi’s budget accommodation is located). It costs 80 Rupees and takes about 20 minutes, making it a great alternative for those who prefer to avoid taxis whenever possible (like me). It was also very clean and not at all crowded, although I arrived pretty late in the evening. I think you did the right thing. Paharganj is a good place for hotels. Which ones did you stay in? I stayed at two different places, but I don’t remember the name of either (they all seemed to have very similar names). They were both located in the alleys off the main road and were very cheap, which also means the rooms weren’t all that nice. Yes, a very sorry state of affairs in our capital city. Delhi is continuously dropping in the trust parameters. I think one of the main highlight points should be the delays which you should mention as a separate point. Delays can be of various durations, types and pertain to different sections of the airport. There’s baggage collection delay, sometimes the bags have not even been transported from the connecting airport. Then there’s customs delay, flight departure delays and so on. Delays can really eat into a traveler’s nerves, especially if they value their time. You have very well highlighted the point of booking a prepaid taxi, you mentioned the hot tip which is really handy, I was not aware of that. I liked your statement “ocean of faces” and you are perfectly right on that, at times it appears that they would run away with all our baggage. Pre-paid taxis are a must from airports. Thanks for your comment. I am glad you took up this important topic because many people face issues when they arrive in our country and feel stranded. The airports are the first thing a tourist sees, lets face it IGI airport is not exactly a place you want to be for a long time. Thanks for your comment Harleena. Sanchit Johari is here, first of all i want to say that i really impress with as you give your description, b’coz in The India very less housewives do such things. Now, your blog is really impressive and explanation about each and all thing is very exact and simple it is helpful for every body either he is Indian or foreign. Thank you for nice comments. Actually lot of Indian women are blogging as well. Hope to see you again here. Thank you. I agree with you Michael. But one should not judge a country by its airports.But impressions count. Still, I would say that IGI airport is best out of all in India. Have you ever gone to the bangalore airport? World class, it’s managed privately, is clean and efficient. – the IGI airport is a shame to our country ! I have been so in love with India but I never had the guts to actually fly there after all the horror stories I have been hearing, for now I’d have to keep myself happy with your remarkable articles. Than you for sharing. You have never failed to show us the wonders of India with simple posts like this. Sure helps us travel though our imaginations. Thanks for sharing this piece. Thank you for these details. I’m definitely looking forward to visit your majestic country soon. I have forever admired the culture of india and I am definitely planning to go there soon. With your site I’m able to plan my trip ahead of time. Thank you for all the tips! Thanks Ma’am for this clean and valuable tips.. I am from Gaya, Bihar and i m very glad that you are providing such a nice and valuable information which ll help foreigners as well as Indians. Ma’am please explore some lights on Bodhgaya as it is very famous tourist place among all in India. Informative post Shalud Ji. I still remember my first visit to Indira Gandhi International Airport. Visiting such a places makes me to feel that my country is going ahead…. Preety, if you are flying to Delhi, you should be able to get help from porters to help you with you luggage but you will have to go and ask at the help desk to get it. It will depend when you are getting there. Last time, one of the porters said 200 USD to me but you can say something like 200 Rupees and take it from there. Thanks Shalu for your response. Any idea how much these porters end up charging, and are they in official uniforms or carry other identification badge etc with them? Thanks in advance. My wife is travelling with my two very young sons and I am very nervous how she will be able to manage on her own, between collecting the baggage and exiting out of the airport. IG airport is a world class facility, and is often compared with paris internation airport which is what I’ve heard. I’m sorry but I do not agree to your views as myself along with everybody I know who has visited delhi by air and have been at IGI airport are all full of praise. I always found the toilets super clean, and staff more than helpful. Even the airport is wonderfully clean. I am not sure if you have been to Mumbai airport, but if you go there you will find that it stinks. When I was there 2 years back to go to US, I was shocked and the only words came out of my mouth were “Is this the Mumbai airport our great bollywood stars use to get abroad”? Its true that not all airports can be categorised in the same way. I have been to the airports in Mumbai and I agree that they are terrible. There was a particular time when IGI airport suffered tremendously. But I have seen some good improvements in the way this airport has been run. Thank you for your comment and have a nice day. have one question i.e we are landing in intl airport at 1.00 am and have to wait upto 5.30 am at the air port to catch our train at 7.30 am from nizamuddhin is there any free waiting place available in the intl airport arrivals? pl advise me madam. Than Q. You can always go to the departure section where they have a paid waiting area and stay there for a while. You can always go to the railway station and wait over there. Nizaamudin station has waiting area but I cannot confirm if they have a left luggage. I like the airport it feels overall clean and safe, and this is what you want these days, security! if anybody have problem in collecting baggage from cargo then we will help them from customs . and delivered their consignments . We do, just send us your details using the form and we can make a plan for you. Helpful article. It is always good to have an idea of what to expect in other country’s airport activities and what not. Saves time and potential misunderstanding among the two parties. You are really straight forwards in your talking, Well I don’t think that Airport is really that bad. People are nice there. I love your experiences, thanks for sharing them with us Shalu! Thanks a lot for this really informative post. 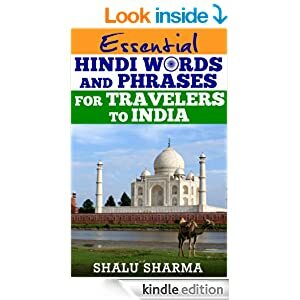 I am travelling to India next year and these pointers will really help. I am planning to visit Dharmashala and was told it would be best to travel there from Chandigarh, is that true? WORST AIRPORT ? what are u talking about ? Indra gandhi airport was rated the 2nd best airport in a recent survey. I live in the US and IGI is better than many american airports. Don;t u have anything else to say except criticizing India ? Omg. IGI is better than American airports? When did this come about? Have you actually travelled to India recently? i am ariving to IGI at 1:30 in morning from KLM flight and want to leave iarport at 4 am as i do nt feel delhi is safe in night. Could u please tell me wether going out at 4 amis safe in delhi. You can always stay there for an hour or two if you are feeling unsafe. 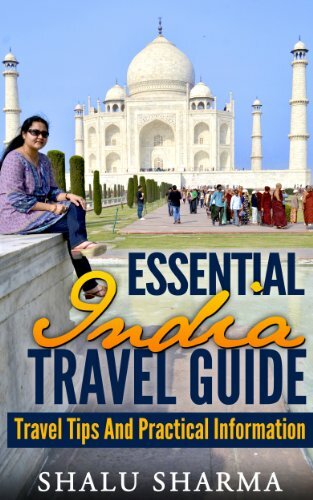 Great information for people who are traveling to India for first time. Love to travel to India once. Goa is my favorite place. I think you did the right factor. Paharganj is a great position for resorts. Which ones did you remain in? I will be travelling alone with my 1 yr daughter from dubai to delhi. Where should i contact for availing the service of porter in delhi airport? Can you plz inform where is the child care room in delhi airport? I will be waiting for ur reply…. 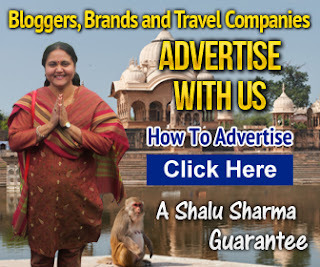 Shalu, you are no less than a professional tour guide just loved your piece of article. 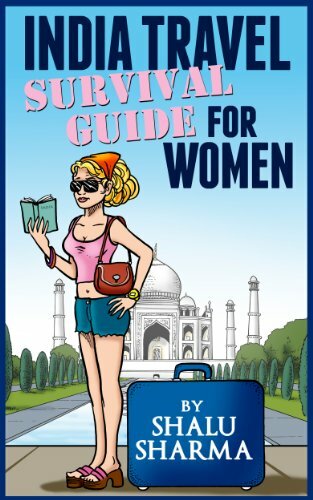 My Mom is looking to travel to Delhi, she’ll be new to India and this guide is going to help her a lot! wow this is one of the most luxurious airport I’ve ever seen. everything is laid out very neatly. if I have a lot of money, I want to go there for a visit. I am really impressed by India’s improvements to it aviation sector, a truly world class airport. I am based at Heathrow and we have the pleasure of welcoming many Indian’s to our country. With the introduction of the Boeing 787 Dreamliner to AI’s fleet, the future of India is very bright! Exactly, India is the fastest developing country. India’s future is bright, no doubt in that. In exchange money transfer euro is one of the big value money as far as i know. The currency of euro is much bigger than dollar. If you are earning euro you have the chance to be rich in the future. It is good to know that India is having a good travelers currency exchange such as State Bank of India and Thomas Cook but do they have the same exchage rate? With SBI, I feel ease to have dollars converted, as I feel proud to use those desi services, and another reason you don’t need to go to bank anymore to deposit money, they will do it for you directly from there. Thank you for wonderful post, I love your blog, It gives very useful and informative information , Thanks again and highly appreciated. IGI is one of the best airport i have ever visited. the airport is spacious and too much beyond my expectations. I have hear a lot that IGI airport have improved a lot to met the international standards. My parents have visited there once. But your post is really tourist friendly also if airport have improved really then you should update this post. I work at an international airport in another country, so know my way around and I can confirm a great welcome awaits anyone traveling here. I think its the people that make a place memorable and myself and my wife received a great welcome here recently. Great post. Thank you so much for sharing all the information that we need to know when we arrive in India. I m arriving on 31 march at igi airport ,T-3 at 4.25 am so I want to catch shatabdi train from new delhi station at 7.20 am that I have almost 2 hours after coustoms and immigration so should I catch metro train from airport or taxi toreach new delhi railway station..how we can transfer from getting luggage to metro station and how much time takes train from igi airport to new delhi railaway station. To be honest with you I’ve nevr been there but sooner I will arange a visit to delhi. Not because of business purposes but only for tourism. Hope I will enjoy time there. Elite Cars Guildford specialises in airport transfers. So NICE AND Happy Read This Article. Delhi’s Indira Gandhi International Airport news are useful for me when i come to Delhi! For travellers coming from the UK and USA side, it is important to know the airport norms at India as things vary largely here. Especially the baggage should be taken care of properly to avoid it getting lost. Thank you so much for posting this. I think this really puts things into a different light. I mean, I have read about this stuff before but the way you write just makes it clearer. If that makes sense I really loved this article very informative! Very well written, quite informative. In fact, I would like to draw your attention towards delays at the airports. A long queue for foreign travellers might make them miss their connecting flights. If you are a passenger who has missed a connecting flight of an EU Airline, with the final destination also in EU then you can claim compensation up to 600€ from the airline.